Golf59 founder and Master Club Fitter Jiri Votroubek has had a lifelong love for the game of golf. 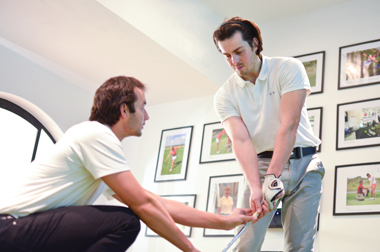 Already a keen amateur golfer, Jiri decided early on to pursue a career in club fitting and building. Equipped with an analytical mind and skilled hands, he began his journey into the trade with trial and error self education and later was trained by fitting professionals. In 2013, Jiri successfully passed his exams at The Mitchell Golf School and was certified Master Club Performance Specialist & Club Builder. In 2015, Jiri successfully passed the KZG Master Club Fitting Program and earned the title of Master Club Fitter. PGA tour professional Milan Vantuch joined the Golf59 team shortly after his first experience of being properly fit for clubs . “It changed everything,” he says. “My shots improved a lot. I hit the ball on my preferred trajectory, my woods and wedges match with my irons.” Experiencing the benefits of proper club fitting this far into his career was a real eye opener for him. Milan became a strong advocate for the importance of being properly custom fit and makes sure to get his students playing with the clubs that suit them best. Jiri and Milan have been named two of the World’s Top 100 Club Fitters for three consecutive years, 2015-2017, because of their passion for the craft and their meticulous work. “We love our job,” Milan says. 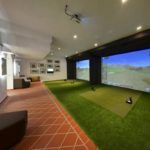 “We spend a lot of time with you, until we are all sure that these clubs are the best choice.” After playing with your new clubs for 30 days, there is a follow-up session for tuning the loft and lie of all your clubs. 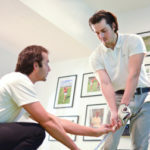 Jiri and Milan are committed to helping you improve your game and they have two locations to serve you. 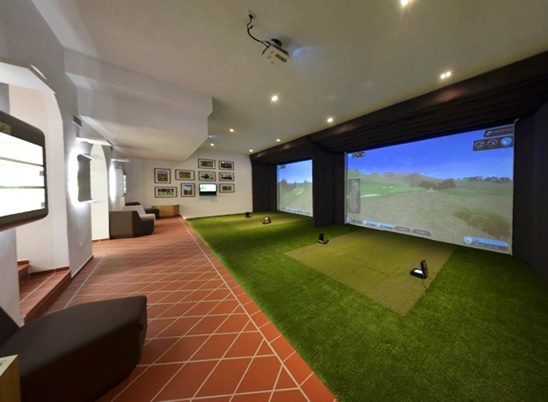 They fit and teach at the Albatross Golf Resort just outside of Prague and at Indoor Golf in Litomysl. When it comes to providing golfers with the tools and equipment they need to better their game, Golf59 is second to none.